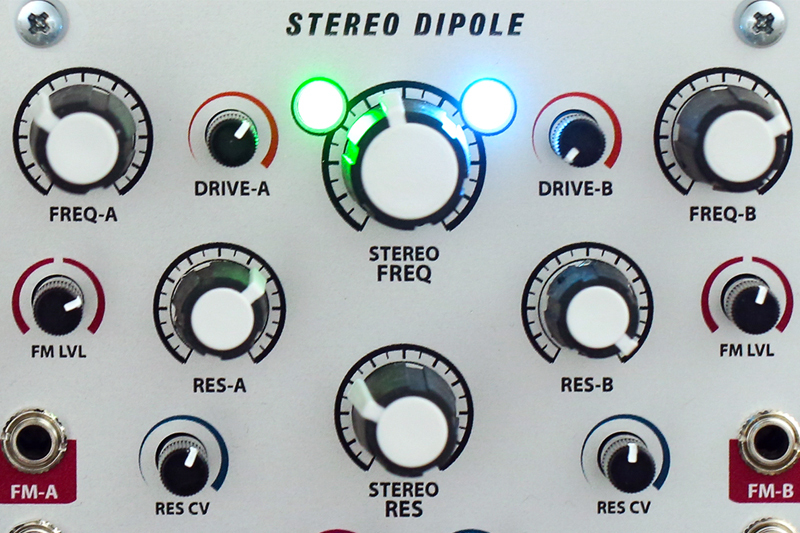 The Stereo Dipole is a much-anticipated quad state-variable filter module from Steady State Fate.  Packing four filter cores into one module, the Stereo Dipole is parameterized such that each filter can operate with various degrees of independence—or total interdependence, depending on the user's preference. 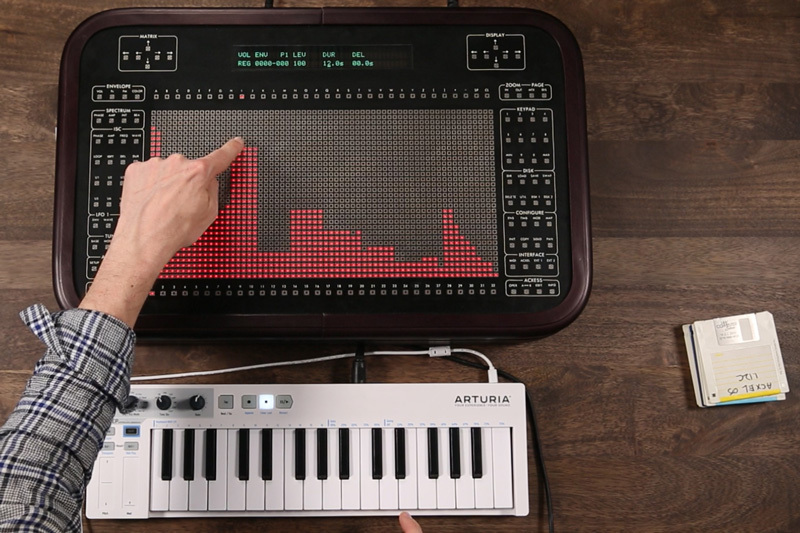 In this video, we explore just a couple of the various applications the Stereo Dipole offers. After just a few minutes of use, it became obvious that it is far more than just a filter—it is a quad oscillator, the ultimate FM voice, a complex modulation source, a resonator, a binaural panner, and much more. 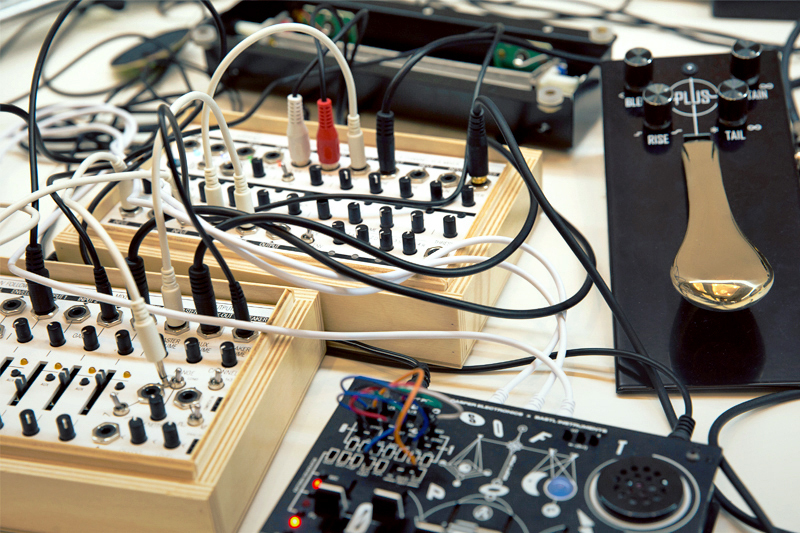 This well may be one of the most interesting Eurorack filters available. People seem quick to point out that the Stereo Dipole isn't the only quad-core, stereo filter with macro parameter controls to be released in 2019. The Make Noise QPAS is an obvious item to compare; but honestly, despite some clear crossover in inspiration and design, they are quite different in use. 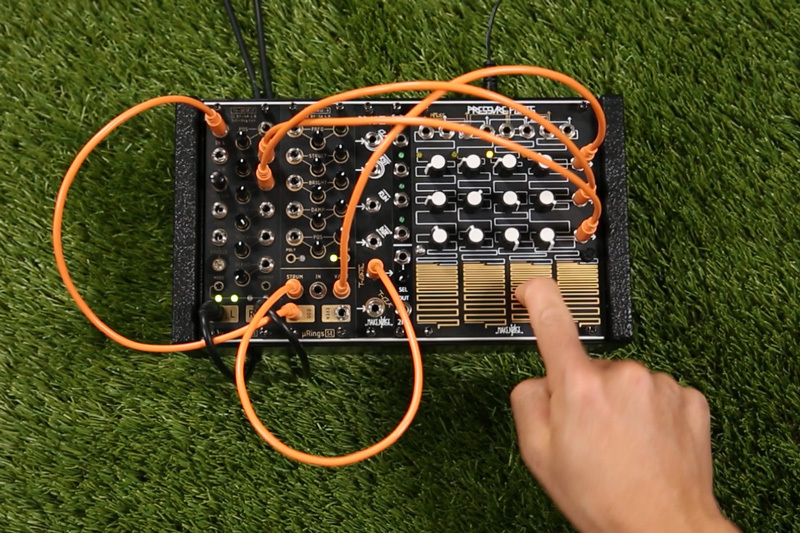 To me, QPAS at its heart feels like primarily a modulate-able analog resonator, with lovely ringing textures, liquid stereo imaging, and a very Make Noise-ian quirky sound and feel. It is remarkably charming and a blast to use—but it seems to intentionally diverge from the typical realm of what one might assume a filter is meant to do. The Stereo Dipole is not the QPAS. It feels like four classic filters combined into a single supermodule; it seems (at first) to stay closer to the sound and possibilities of what a traditional filter does. 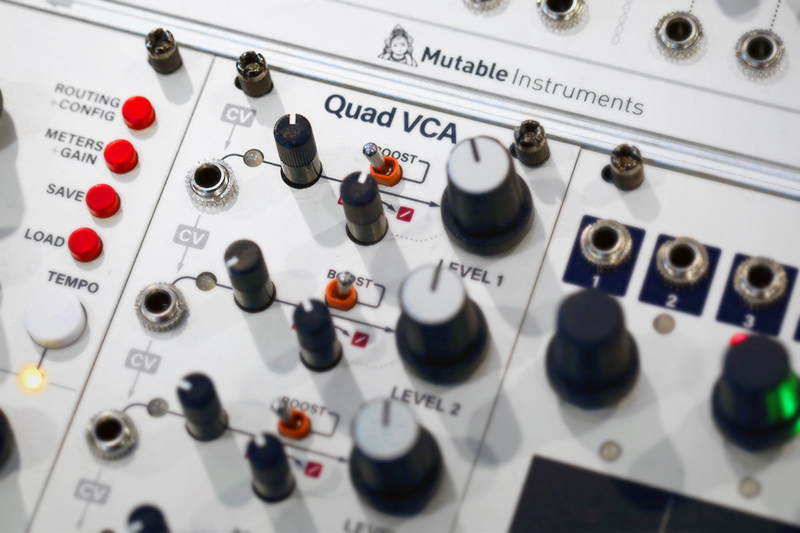 However, when one puts four killer-sounding state-variable filters behind a single panel, it begs for experimentation...and in the end, it becomes apparent that the module is far more than the sum of its parts. The Stereo Dipole is organized into two sides, each with two more-or-less independent state-variable filters. Each filter offers individual mode selection (highpass, bandpass, or lowpass), and even offers individual or mixed outputs, depending on how the module is patched. Each side's two filters offer group controls for cutoff frequency, resonance, FM level, drive, and resonance CV amount, as well as a dedicated control & CV input for spread between the two cores' cutoff frequencies. 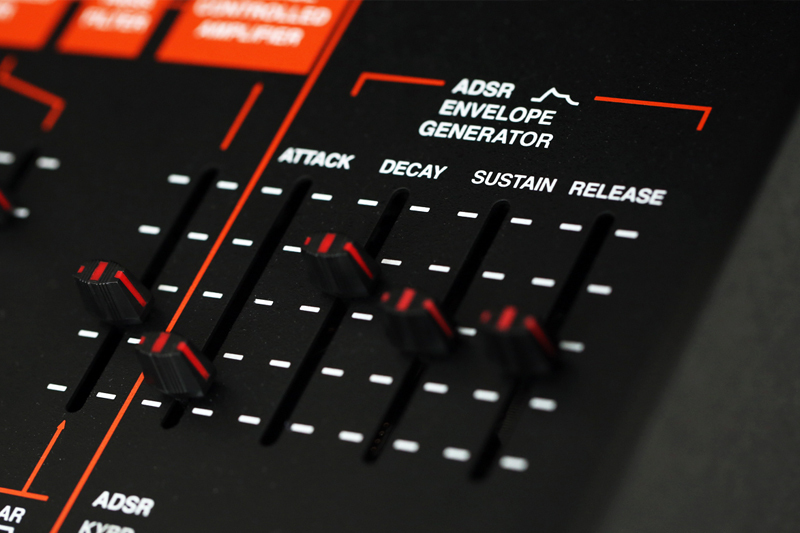 In addition to these per-side controls, the module offers several master macro controls: Stereo Frequency, Stereo Resonance, Stereo FM amount, and Stereo Resonance modulation amount. These controls are added to the sides' individual settings, providing a ton of ways to affect each parameter for the left and right sides or for the entire module. The final Dipole AB output provides a mono mix of all four poles, and respects the selection of "series/parallel" routing for each side. 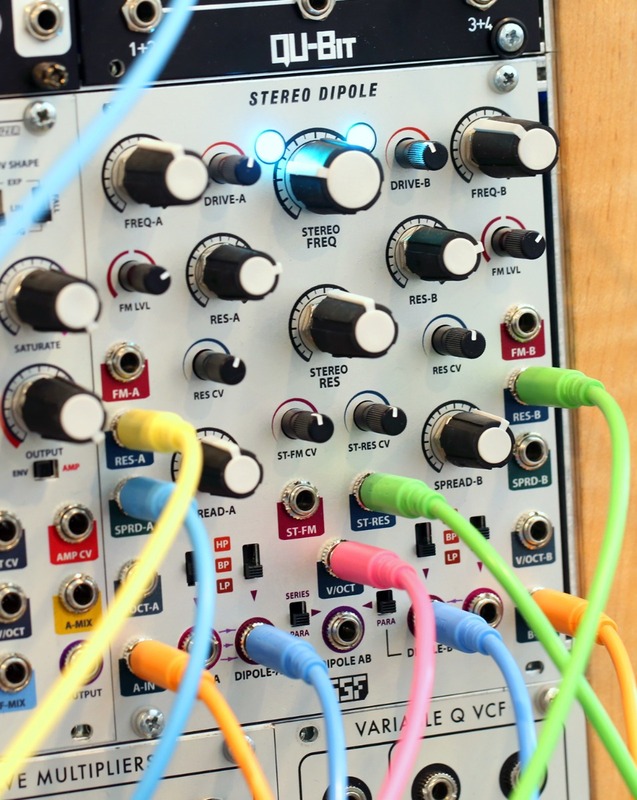 Each side independently offers single and dipole outputs, making it possible to create a number of novel filter routings in mono, stereo, and even quad configurations. 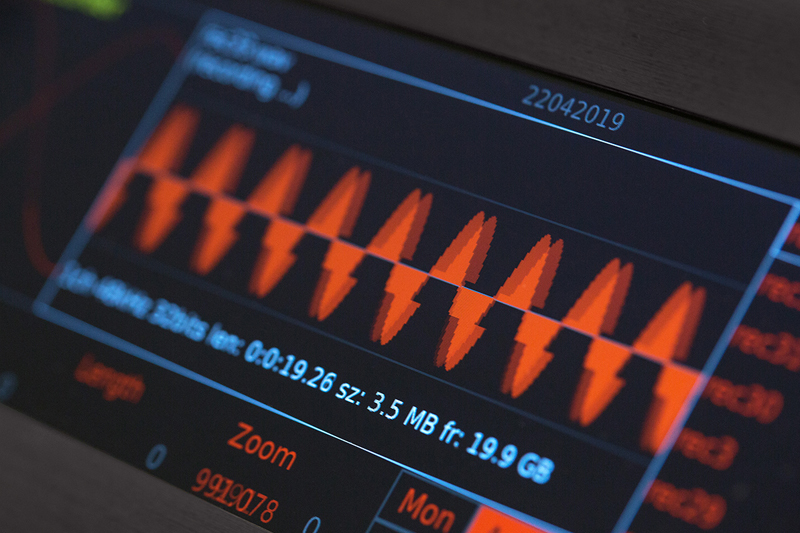 Each side can filter independent audio sources, or can filter a single mono source in order to create peculiar panning effects based on spectral manipulation of the incoming audio. This is similar to the type of "binaural" panning offered by the QPAS, but with a decidedly different set of flavors at work. Where the Stereo Dipole really diverges from the QPAS is in its embrace of traditional filtering techniques. The filters can self-oscillate, and can track at 1V/Oct—making it possible to use the Dipole as a quad oscillator bank. It can create everything from sinusoidal swarms to airy, glowing chords; and, given each side's independent FM controls, it can form the basis of a particularly gnarly pseudo-complex oscillator...or a weird dual oscillator on one side and filter on the other, or a pair of LFOs on one side and oscillator on the other or...any combination of these things. And because of the various serial/parallel routing configurations, traditional filtering techniques are also possible: formant filtering, variable-width bandpass filtering, and much more. The Stereo Dipole has a particularly thumpy, wet, dampened sound when sending triggers or gates into its audio inputs for "pinging" effects—it can definitely produce ringing sorts of sounds similar to the QPAS, but the sheer forcefulness and wetness of the plops at lower resonance settings is fairly distinct from the QPAS. And of course, all of the tricks involving precise pitch tracking and self-oscillation put the Stereo Dipole into its own camp...a camp that certainly could peacefully reside next to Camp QPAS. 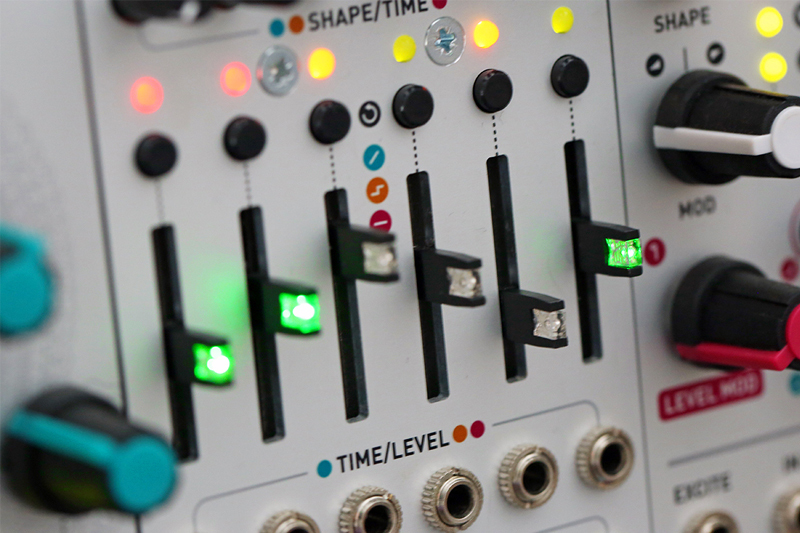 I personally would never have thought that I could be super excited about another Eurorack filter, but 2019 has proven me wrong on multiple occasions. 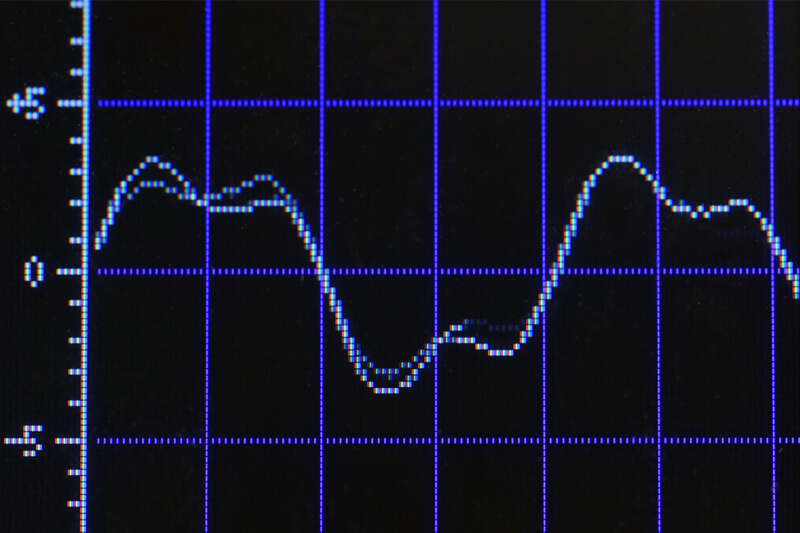 Aside from the countless wonderful traditional filter sounds the Stereo Dipole provides, the most remarkable part to me is that it seamlessly surpasses what one might expect from a "quad filter." It is parameterized in such a way that it certainly could be used as a ridiculously cool-sounding and nuanced VCF—and any player could be thrilled about it in that context alone—but it remains open-ended enough that one immediately becomes aware of all of the different directions it could go. And for me, any instrument that instantly inspires you by revealing its secret potential is an instrument worth playing.